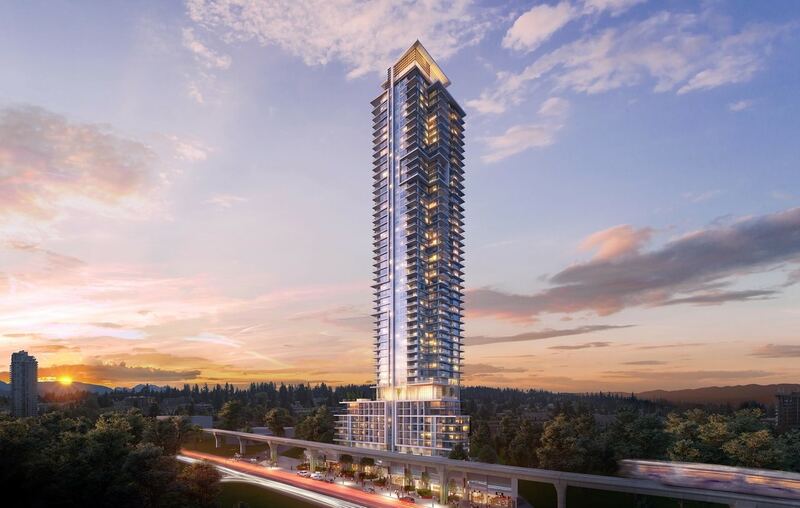 Soaring 50 storeys above Coquitlam’s hottest up-and-coming west end neighbourhood, new condos for sale at Ledingham McAllister’s Highpoint are poised to establish a new peak of luxury in Coquitlam. From the grand sense of arrival just off Clark Road highlighted by stunning water features and a marvellous overheight glass lobby with your own personal concierge, to 11,000 square feet of unrivalled amenities across three levels, Highpoint in Coquitlam reaches above and beyond better living to give you even more of the superior lifestyle you desire and deserve. New luxury Condos for sale at Highpoint will range from 1 and 2 plus den to 3 bedroom plans, all with impressive architectural details, 9’ ceilings, expanses of glass offering gorgeous sunset vistas, and spacious outdoor decks and patios overlooking the vibrant city of Coquitlam and its lush natural surroundings. Luxurious gourmet kitchens demand no sacrifice with glorious full-sized appliances and islands and pantries in most new condos for sale at Highpoint. When you are ready for R&R you only have to decide between the swanky fireside Sky Lounge on the 52nd floor, the games room, fitness facilities or formal dining lounge and kitchen on the 11th floor. Although the convenience of Skytrain is immediately next door, new luxury condos for sale at Highpoint in Coquitlam come with everything you need for day to day living, right at your doorstep. In addition to exquisite residential units, Highpoint also features retail space on the ground floor for added enjoyment. This pocket of Coquitlam is quickly being recognized for its quick and easy access to every big-city amenity while affording unparalleled views in all direction thanks to being located at the peak of Coquitlam West.